This is a book that spoke to me. It spoke to me because it is a book about people who have had a global childhood, and the impact that can have on them as adults. 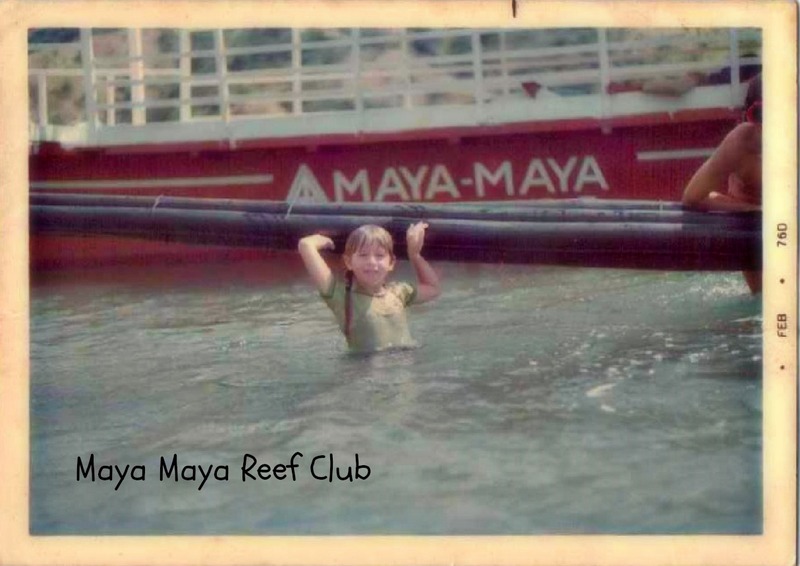 And, as any regular reader of this blog will know, I certainly had a global childhood. 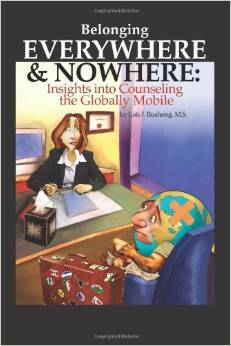 Belonging Everywhere and Nowhere: Insights into Counselling the Globally Mobile by Lois J Bushong is really a book for counsellors. Lois, a counsellor herself but one with an expat childhood, found a gap in the knowledge of many counsellors when it came to working with Third Culture Kid’s (TCK’s) and Adult Third Culture Kid’s (ATCK’s), and decided to do something about it. So she wrote a book, which is also a guide for therapists, including exercises, activites and discussion points. However, even as a non-counsellor I found this book fascinating. And eye-opening. The book starts by helping the counsellors to identify whether their client is a TCK, and if the reason they have come for counselling is related to their childhood (I can’t believe it wouldn’t at least come up, in the majority of cases). It then goes on to discuss the different issues that might have affected these clients: depression, adjustment disorder, even post-traumatic stress disorder. And while PTSD may seem extreme, I think about the older expat children of my friends who lived through the 2008 bombing of the Mariott in Islamabad (and subsequent evacuation), and the worry they had about how to talk to their children about what happened. If not dealt with there and then, it’s very possible that some of that trauma might surface later on in life – perhaps even at the worst possible time – when those children are at teenagers and at boarding school. Throughout the book, author Lois uses examples that she has taken from her real-life practice but disguised or amalgamated so there is no breach of confidentiality. However, you can be sure that the examples she gives will be very real, even if they are not each based on one real person. As an ATCK myself, I found myself nodding along as I read the stories based on the lives of other ATCK’s: Katie, a middle-aged woman who spent a childhood in Asia and struggled with depression at university; Portia, who shied away from getting close to anyone; Rhonda, a teenage client, who asks why her family just can’t be “normal”. 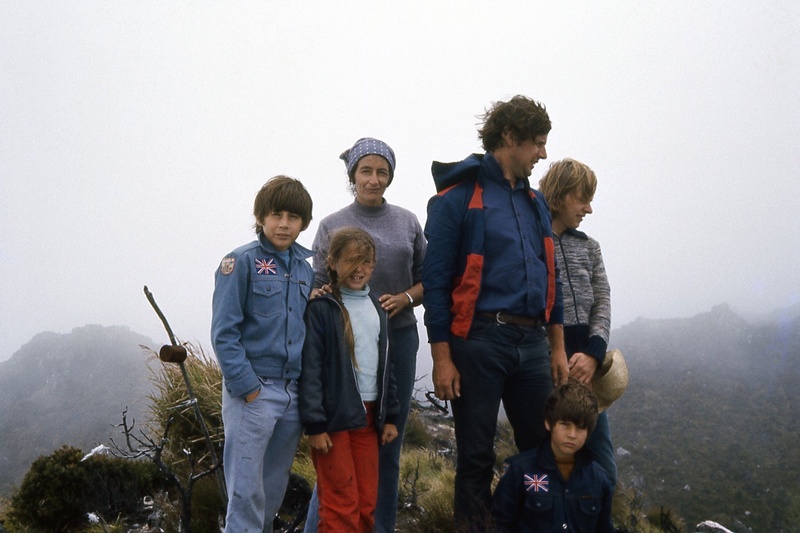 And of course, as many of the stories relate to childhood, I also kept the thought in my mind of how living an expat life may affect my own children – and what I can do to try and make things easier for them. Much of the book is very counsellor-speak, as well as American (although I don’t find it overly touchy-feely in the way American “self-help” books often are; Lois was, of course, an expat child herself so perhaps is less American than some writers of this sort of book!). But because of it being aimed at counsellors, there were parts of the book that I just skipped entirely. The parts that I did read in depth more than made up for the missed bits, although I would still love it if Lois now wrote a book entirely for the “lay ” reader! While there may be many TCK’s who struggle for a while with wondering who they are or where they belong, once they understand the reason for their confusion and that these feelings are within a normal range for others of like experiences, most go on and embrace the various pieces of their life rather than feeling as if they only have an either/or choice to decide who they are. The last third of the book is taken up with a long bibliography and list of references, two appendices that focus on systems and techniques for counsellors, and finally a TCK Wall of Fame, which gives further details of some of the contributors featured in the book. Finally, it gives a list of useful resources, including books, films, organisations and – helpfully! – a list of suggested counsellors. I found this book incredibly useful, and made me want to explore my ATCK experience further. But I also think it would be really helpful for parents of current TCK’s, as well as anyone who works with TCK’s – in particular International School teachers and counsellors. If you have already come across it and/or read it, I would be interested to hear your thoughts. Welcome to June’s #TrailingSpouseStories. 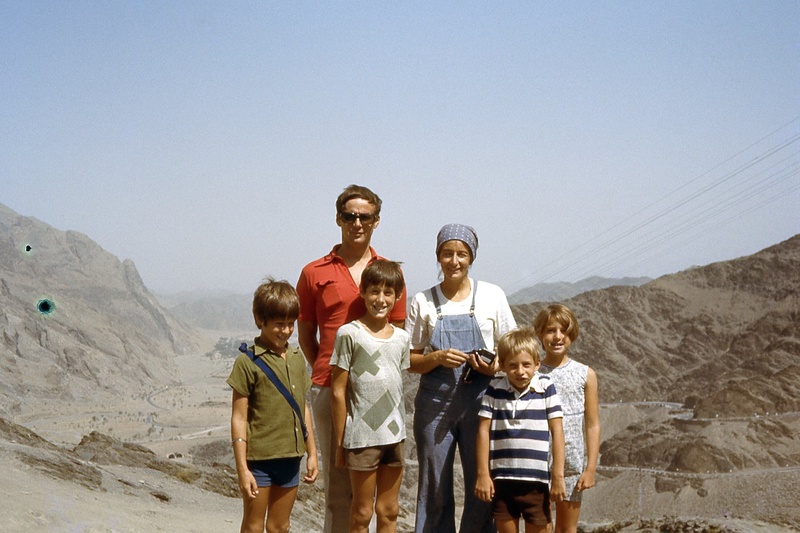 This month we explore our national identity and how it shows in our day-to-day expat life. We also reflect on how our itinerant life has influenced the expression of our national identity and how we feel about it. I have lived in eleven countries on five continents. I have travelled throughout the world, visiting some of the most remote areas on this globe. I have been to school in the Philippines, worked in New Zealand and Jamaica, accompanied my partner in Pakistan and St Lucia. But throughout every single year of my life, I have never had any doubt about my national identity. I am a Brit. Over the last few years, especially when researching my book the Expat Partner’s Survival Guide, I have come across an increasing number of articles and stories about what is commonly referred to as Third Culture Kid’s (TCK’s). A TCK is basically someone who moved around – specifically to other countries or cultures – as a child. As the world becomes more global and more and more people take their families to live overseas, so the numbers of these children are rising. Thus, the increase in the number of things I see written about (or by) them. But I am finding that many of these articles don’t really resonate with me at all. So many of them refer to the confusion these third culture kids apparently feel when it comes to their identity, the battle within themselves between their home culture and the one they have adopted in their new country. Whether it is because we moved so many times to so many very different places, or because we always kept a house to return to in the UK (and lived on and off there throughout my childhood), or because my father worked for a very British institute (the Foreign Office), I don’t know. But I have never felt anything but British. I’m not fluent in another language, I don’t prefer another cuisine overwhelmingly over my own, I am not divided between my home team and that from another country during the World Cup or the Olympics (although I always cheer on the Cameroonians, Venezuelans, Jamaicans and others from any country I have spent any length of time in). I get British humour, I love British tv and I follow British politics avidly. Last week I wrote this post about “home”, and about what it means to me. As a result, I have had many online conversations about what home means to others – from those who grew up and have always lived in one place, to others, like me, who have moved around on and off all their lives. Most people agreed that a feeling of “home” usually relates more to people than to a particular place, and that it’s your immediate family who give you the greatest comfort. But people still want to feel that somewhere is their “home”, their “place”, where they come from and where they will, eventually, return to. I spoke to one mum about her son who is from country x, lived many of his formative years in country y, but now resides in country z. While she still feels she belongs to her home of birth (country x), her son is adamant that country y is where he feels he belongs. How, she asked, does she help him feel more like he comes from country x, which, after all, is probably where they will eventually move back to and, in all likelihood, he will attend university and end up working? I thought about her question, and why I had never felt like this about any of the countries we have lived in, but I don’t have a clear answer. Whilst there are many reasons why I have always felt British and not that I am from any of the other country’s I lived in as a child, I couldn’t give this particular mum any particular piece of advice about what she could do to help her son feel more like he came from his country of birth. But what I did say to her was that if, in the end, he decided that country Y was where he felt most at home then maybe that was okay. Perhaps it doesn’t really matter where we come from, beyond that we are happy there and that it feels right. Maybe it doesn’t even matter if we’re not from anywhere and nowhere is home, bar the place where we currently live. Maybe it also doesn’t matter if we don’t feel very much from one place, like I do. After all, the world is becoming more and more globalised every year – and, I suspect, so are the world’s citizens. How do you feel about your nationality? Are you very definitely “from” one place? How about your children – if they have lived overseas, especially those who moved when they were very young, how have you manageg their sense of nationality? How important is it that they know where they are from? Clara of The Expat Partner’s Survival Guide says that although she has travelled extensively all her life and lived in many different countries, she has never felt anything but British through and through in Why I Have Always Felt British All My Expat Life. Didi of D for Delicious discovered that when she lived outside the Philippines, she learned to embrace the entirety of her Filipino-ness – the good, the bad and the ugly in #TrailingSpouseStories: Embracing Filipino version 2.0. Liz of Secrets of a Trailing Spouse shares how her view of her home country has changed in the four years since she left in What Is This Place I Call Home? Tala interviews her BFF The Diplomatic Wife in Freedom To Be Our Own Filipinas. Tala reflects on her own rediscovery of being a Filipino abroad in The Personal is the National. Yuliya of Tiny Expats shares that sometimes, what your national identity represents is not exactly what you would like to represent in At War With National Identity. Today I start another new series, called Interesting Expats, in which I speak to expats from all sorts of backgrounds, countries, ages, eras….you name it, I’ll have it. Of course, in their own way, ALL expats are interesting: by definition just the fact that we have taken ourselves off to another country to live makes us interesting in my eyes. But there are a lot of “common or garden” expats out there, and then there are those who are a little different for one reason or another. In this series I will first explain why I think they are interesting – and then hand you over to the subject themselves to tell you more…. Why I think she is interesting: I first heard about Olivia when I saw her name pop up on some of the expat forums I frequent on Facebook. We often discuss our backgrounds and what life is like for those of us who have been Third Culture Kids. Also known as TCK’s, these are children or adults who spent at least part of their childhood travelling between different countries and cultures. Much study and research is being done into TCK’s at the moment – mostly to understand why we seem to still be affected by our experiences even years after we have settled down. 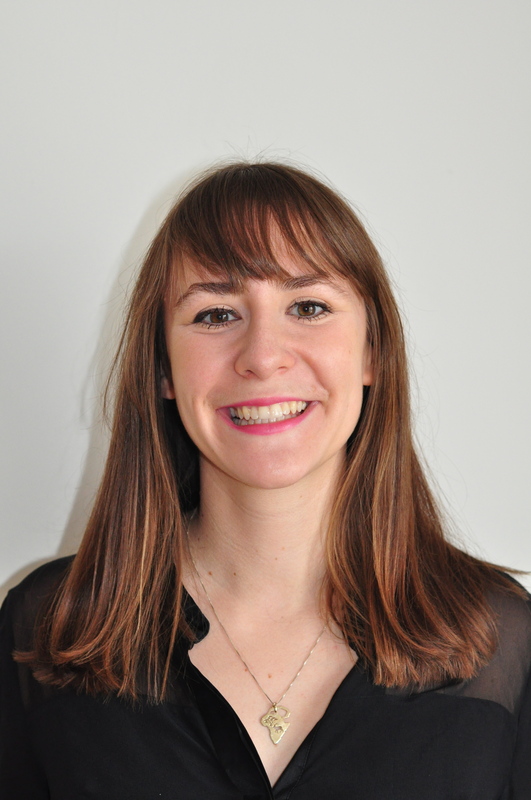 But Olivia had taken things one step further – she had realised how hard it can be for young TCK’s to find love and that the answer might be to help them find other TCK’s. So she has set up a dating site – TCK Dating. In the meantime, she has also trained as an expat coach and is always on the look out for what she calls “strong, determined expat’s, open to change but who have maybe lost their way a little”, to work with. If this is you, or you know someone who fits this mould, please do contact Olivia via her coaching website. Please tell me a bit about yourself and your background, including where you’ve lived and for how long. And what you are doing now? Sure! My parents are French and Belgian and I was born in Tokyo. I lived there for 4 years, then moved to Dusseldorf for 2 years, Johannesburg for 6, Vienna for 3, and finally Hamburg for 2 years. I then went to university in Boston for a 4-year Bachelors degree. During that time, I spent 6 months in Auckland, New Zealand, and 6 months in London, UK. After working in finance for 3 years and starting my own dating events business for expats and global nomads ‘TCK Dating’; I now work as a life coach. I coach mostly high-performers who are feeling stuck. They’re not quite sure what they would like to do next in their careers or in their lives. I also coach individuals on reaching their dream life. Often we focus on how we should live or what we should be doing; using coaching questions I help move them to what they really want to be doing (no shoulds!). What does their ideal life look like (without thinking about what family, society, colleagues, friends think)? Where would they be living? What would they be doing? Once we have a very clear picture of their optimal situation, we help create a detailed and strategical action plan to achieve that life. There’s a misunderstanding out there that life coaching means giving advice, it’s not about that at all. It’s about asking questions using different models that allows the client to have insightful breakthroughs and find their own optimal solutions to achieve their dream goals. Sometimes it’s also about taking aways those limiting beliefs that tell you: I could never do that. I don’t have the time. I’m not good enough. I don’t have the money for it. I could never start that. I’m not qualified enough for that role. Can you tell me what a TCK is? And what about an ATCK? Sure, there are many definitions out there for a TCK, but the one I’ve come across most often is a person who has spent some time during their formative years outside their home or passport country. An ATCK is simply that type of person as an adult. What made you decide to start a dating website for them? Well, I had struggled myself to find someone romantically who could keep me on my toes. I was always restless and didn’t feel I met enough people who understood me. I also used to get bored with guys very easily! I wanted to not have to hide any of who I was (which is a large mixture of customs). I finally met someone a year and a half ago who does just that. He makes me laugh, is not intimidated by my multicultural background, and fully understands and appreciates why I am the way I am today. I wanted to create a platform where TCKs could meet people who they’d feel comfortable with. It’s not to say that all TCKs will get along, let alone be romantically attracted to each other; however, it does allow for a much larger common ground. I’ve met so many TCKs since I’ve started this platform and I’ve realised how very often, I feel so incredibly comfortable from the get go. We have so many things to talk about and we can go off on so many tangents! We also have had to deal with a lot of the same sorts of feelings: restlessness, goodbyes, commitment to relationships or cities, and lack of what most call ‘home’. Why do TCK’s need their own site? You know what, they don’t. We don’t even need dating sites. But you know what? We want one. I wanted one at the time. I wanted one additional option to meet more people. And turns out, that other TCKs out there want one too. What’s not to like about one extra option of meeting the love of your life? I loved meeting new people, and I love meeting people who can relate to my story. People who I don’t have to explain things to. People who won’t be shocked by customs that are not their own. Of course, you’ll still go out, hang out with your friends, meet guys at a bar, at university. But what if you could increase your chances of meeting someone? Wouldn’t you take it? Do you have any stories about TCK’s dating other TCK’s? Or any disaster stories about them dating NON TCK’s? What about your own dating stories? Great question! I think that in the end it’s not necessarily about whether that person is a TCK or not. However, what I do think is it means that if you’ve been struggling to meet people who understand you, it can feel amazing to have people who truly can because they’ve been through similar experiences growing up. I’ve met someone who’s not a TCK and we’re madly in love. He’s someone who was never intimidated by the many countries I’d lived in, the 3 languages I spoke, the experiences I’d already had at 25. He is complex, intricate, interesting, different, incredibly intuitive, and very open-minded. I think that those traits helped so much. It allowed me to simply be ‘me’ and no one else. He is sometimes surprised by some of the things that I say or some of the things that I’ve done, but he doesn’t judge it in any way. I never had the chance to meet another TCK when I was single. I’d only ever meet single expats or single locals in the cities I’ve lived in. And it’s only when I started TCK Dating that I met TCKs, and I was shocked about how quickly we bonded. Straight away, I felt we’d known each other for years. And that was a very special experience for me. It was what I realised most people must feel when they meet another Australian person if they’re Australian. It’s that connection that’s almost unexplainable. Do you have any recommendations for young TCK’s who are looking for love? I’d say that it’s all about getting out of your comfort zone and really being proactive about meeting new people. It’s funny that for careers, we will do everything: work on a CV for days, send it to friends for editing, write 20 applications, and network in alumni events. Then once we have the job, we’ll spend 9 hours a day at work, spend time with work colleagues, train for our next qualification. Then, when you ask someone what they do for their love life, they say ‘nothing’. It will just happen. On its own. I don’t have to do anything. I’ll just meet them. I just don’t believe that. I think we have to be just as proactive in our love life as our career. If that means, joining a club that inspires you to meet new people. Joining a touch rugby team to play on the weekends to find other people who share your interests. Attending networking events on your own to meet a new network. Joining dating sites, and actually sending out messages and being proactive on it. This whole waiting game in our love lives is funny. We would never ‘wait’ for a job. As if it would just come to you. That would be seen as ridiculous. We would research jobs, send applications, go to career fairs, speak to friends or old colleagues about opportunities, get out there, and be open and ready to make opportunities happen for us. I believe we should do the same for love. And what about parents of TCK’s, especially those who are teens or young adults? Is there anything they need to be aware of? Do you have any recommendations for literature or website links they could read? I think that the book Third Culture Kids: The Experience of Growing Up Among Worlds written by David Pollock and Ruth van Reken is an amazing book that really allows us to further understand what it means to be a TCK or CCK (Cross Cultural Kid). The book can be a valuable tool for parents to have a deeper understanding of what their kids will be going through during different stages. I would say that having that balance between really supporting TCKs in whatever they choose to do and yet also allow their children to be truly independent and learn who they are on their own. We have enough pressure to do certain things in life; it’s lovely when you have a family who supports you no matter what you choose to get excited about. That’s when we can be truly happen, when we feel fulfilled and engaged in our work or studies. My parents did a great job in showing that our family would never break and was a solid structure in an ever-changing environment. I think that without that feeling of strong comfort and home within our family it might have been harder for us (my siblings and I) to cope with so many changes and goodbyes. Having this strong family structured allowed us to appreciate the moves, the experience of seeing new cities, experiencing different cultures and meeting new students everywhere we went. Thanks to Olivia for answering my questions and help get this series started. Reading back through this is struck me that I have always enjoyed interacting with Olivia and now I know why – we are both TCK’s so have that in common immediately even if our nationalities, ages and backgrounds are very different. If you are an “interesting expat” or know anyone who you think would be an interesting person to feature in this series please let me know!